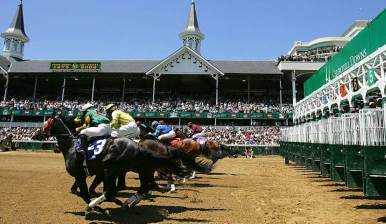 The 20 three-year-olds to make the starting gate in the Kentucky Derby are determined by the Road to the Kentucky Derby, a series [of] races leading up to the Derby where contenders can earn points. Follow the leaderboard to see who will make the starting gate on the first Saturday in May. I'm picking Carpe Diem, but I'm usually wrong.